Monday Vegetable Spotlight: How to Cook Rapini! 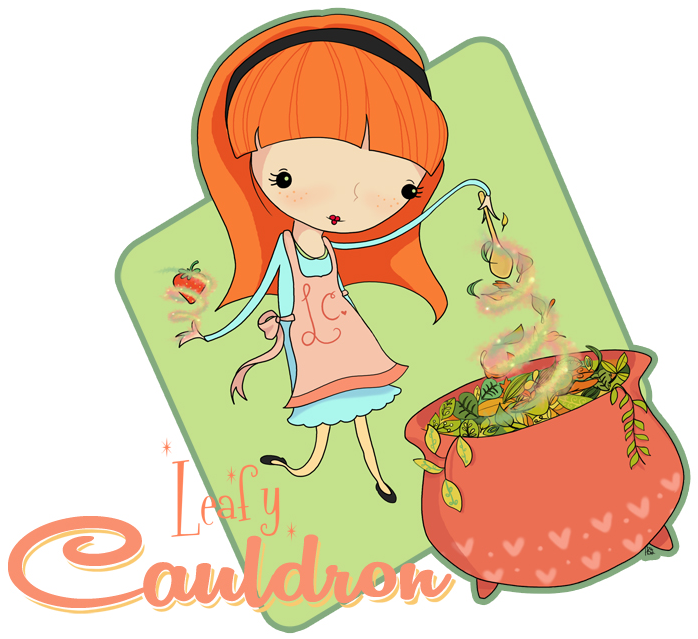 Today I’m debuting a brand new feature here on The Leafy Cauldron! Every Monday, I’m going to take a vegetable, familiar or not, and break down some new ways you might consider cooking it. I think a lot of folks get stuck in a routine and end up resenting vegetables, but it doesn’t have to be that way. I’ve chosen to start with rapini (or broccoli-rabe) because I’ve never had it in a way I’ve liked. My hope is that the Monday Vegetable Spotlight can serve as an inspiration and a safe place to start experimenting in your kitchen. It’s only one vegetable after all, what have you got to lose? It’s not easy to challenge me in the kitchen. I’ve taught myself everything I know today and it has all come completely naturally! I started cooking for my mother when I was eleven, cooked big meals out of nothing for my nine roommates (one was vegan, one vegetarian, one had celiac disease) and then I learned to cook completely without meat. When I went vegan in 2009 (I think? Maybe 2008), I settled into cooking without animal products and truly learned to shine in the kitchen. It was the perfect fit. Last year, when I cut out gluten and moved in with my now husband (here is a list of his endless list of allergies) I took it to the next level, conquered the horrible vegan vanilla cake people settle for, and I now often feel there is nothing new for me to take on. So, I have arrived at rapini. Can I conquer the bitter relative of the turnip? We’ll see. It looks like a lovely and romantic bouquet of broccoli. OK, maybe that’s just me. Rapini is most often used in Italian cuisine, so that give us a window into the kinds of dishes we might serve with it. Everywhere I’ve ever looked tells me I need to blanch this green vegetable, so we’re going to start there. “Salty like the sea” I say to myself like my husband does just before he over salts the pasta water. First impression: It smells like butter as soon as I submerge it in the water, so that automatically makes it more appealing. Bring a large pot of water to boil and salt. Add the prepared rapini to the boiling water and let boil for two minutes. In the meantime, dice garlic and heat a large skillet over medium-high heat. Remove the rapini from the boiling water, allowing some of the water to drip off before adding to a large bowl and tossing together with garlic and olive oil. Add to the heated skillet and sautee for several minutes, until the garlic becomes fragrant. Turn off the heat, add the lemon juice and red pepper flakes and toss together. Often times, roasting a vegetable we don’t like or aren’t familiar with will mellow the stronger aspects of its flavour profile and that makes it a wonderful place to acquire the taste. Preheat the oven to 375 F. Follow the same blanching instructions as above and seasoning instructions as above. Arrange the rapini on a large baking sheet and roast for 15 minutes, turning over halfway through. Final impression: The vegetable is definitely still bitter, but it is also wonderful and delicious. The bitterness can be tamed and it’s worth as many chances as I’ve given it.